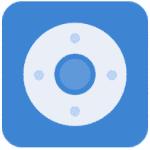 The developers of ZaZaRemote released not only a mobile application but also a special device that expands the capabilities of a smartphone or tablet. The first time ZaZaRemote is launched, we are offered to add the console to the application. And here everything is done, perfectly, that is, we have the most popular categories, there is a search for brands and models, as well as very convenient navigation by manufacturers. After selecting the device, we alternately will be offered to press certain buttons to determine the model of the device and select the correct remote control. Now the remote control is at our disposal, and we can use most of its functions, but not all. If you make a swipe to the left, the screen will display information about the device manufacturer that we are using. We can also manage the technology through a special panel in the “status bar”. 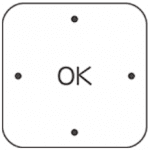 It will allow you to quickly turn on/off this or that device and go to the parameters. Another important feature of the ZaZaRemote application is that we can group the consoles by rooms. It will be useful for those who brought all their home appliances into the program and wants to use it comfortably from a smartphone. But there are unfortunately no settings in this application. 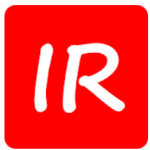 Separately, only two parameters are rendered – themes and IR signal reading. 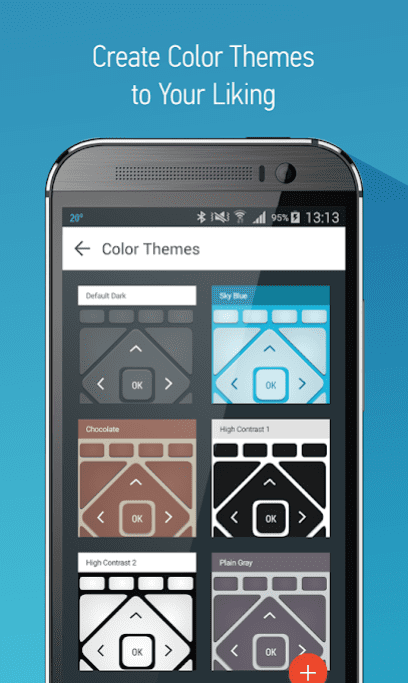 There are only two theme parameters in ZaZaRemote: white and dark. In the description of the application, it is said that ZaZaRemote supports more than 6 000 appliances of various brands and contains 250 000 remote consoles. Numbers inspiring! 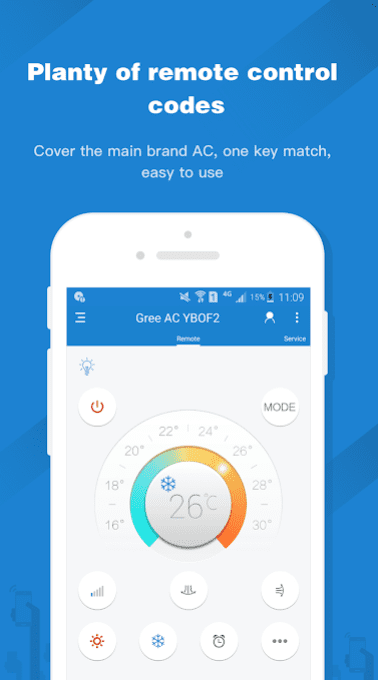 ZaZaRemote is a balanced mobile program for managing home appliances. It is both beautiful and functional, and can even add support for the infrared port to where it doesn’t exist. Of course, for this, we need the appropriate device of the same company. 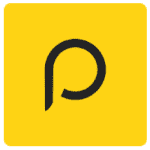 Among other advantages, we note that the utility is completely free and does not contain advertising. AnyMote Universal Remote immediately after installation is ready for operation and can control the DVD or any other home appliances. Before, we need to add the device and accept the license rights – just a formality. Initially, we get to the settings screen, where the types of different devices that we can manage are located. 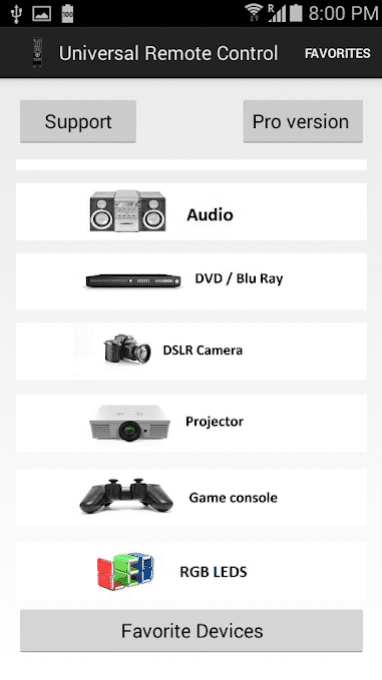 If we are interested in controlling the DVD, select the appropriate category, then mark a model. 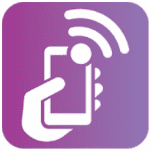 So, after choosing the right device, we see a kind of remote control on the screen of the portable gadget. Naturally, its structure is changed at the request of developers, but, in general, everything is quite convenient. After selecting a device, if there are no saved profiles in the application, we will be asked to test the work. To do this, check the operation of the buttons, if something doesn’t work, then other variants will be offered, which also need to be checked. The most interesting function in the settings of the utility is the so-called “3D Buttons”. The name is loud, but in fact, it just adds a shadow near the buttons increasing their clarity. AnyMote Universal Remote supports a huge number of the most diverse home appliances and already contains ready-made presets. If necessary, we can add a profile for your device in manual mode. Well, users of devices without infrared port can use Wi-Fi control, if such an opportunity is supported by the technology itself. 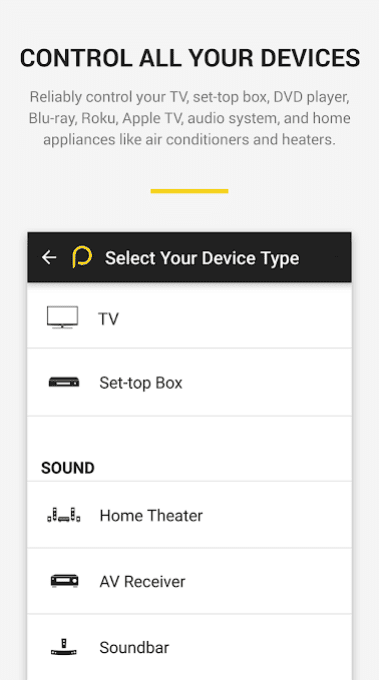 In general, the program AnyMote Universal Remote can easily replace almost any console, allowing you to manage home appliances. However, in the case of the free version, this is not very convenient, since we can only save one console. And one more thing – advertising. The paid version lacks the listed disadvantages and offers more possibilities. 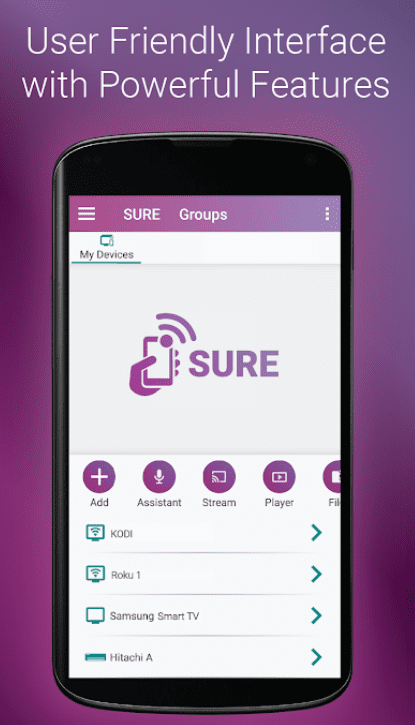 When you first start the application, SURE Universal Remote tells us: “Manage everything and make life easier.” And then we are shown how to add the device and transfer the use of the program to our hands. The process of adding a new console can be divided into four stages: selecting a device category (connection), selecting a device type, selecting the device manufacturer and testing the remote. The whole setup process is as simple as possible. Here the developers showed their imagination and made the program interface more interesting, at least in comparison with competitors. 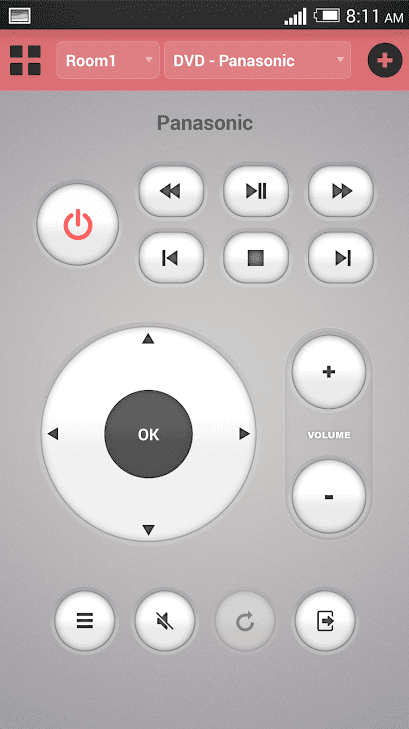 SURE Universal Remote almost doesn’t have any parameters, much less “smart” functions. All that we can do is turn on/off vibration, sound message, two graphic themes, backup. 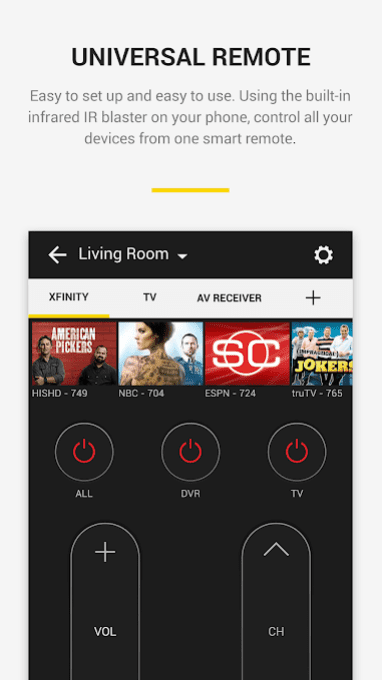 SURE Universal Remote works pretty well with home appliances, which is on its lists. However, it isn’t wide. Not even all Wi-Fi-connected devices are supported, so you should not expect anything supernatural from the application. 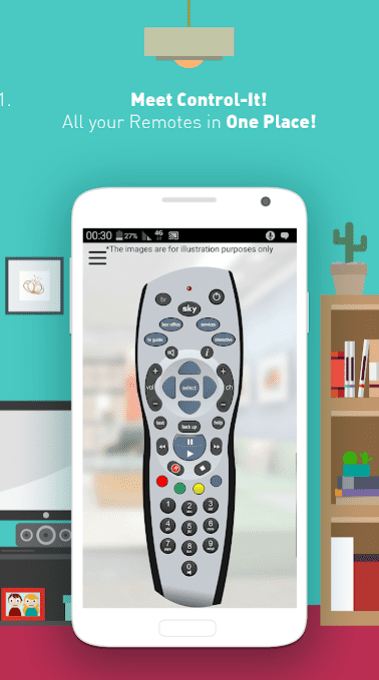 Peel Smart Remote is an application that helps to remotely control various household appliances: TV, DVD, home theater, air conditioning, thanks to the infrared port built into the smartphone. To work with the application you need to connect to the Internet, and the necessary files and updates to use this or that brand of home appliances will be installed. 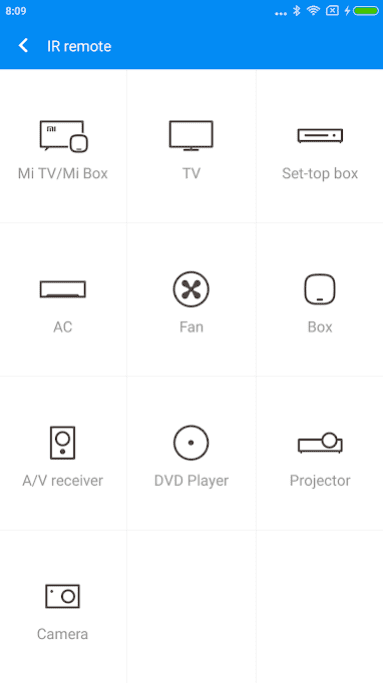 In addition to the standard use for controlling the TV, the infrared port is able to interact with a set-top box, DVD player, Blu-ray, home theater, receiver, projector, home appliances (heater, air conditioning, washing machine), indoor lighting, etc. An accessible and understandable interface. A number of advantages make the program interesting and popular since many users make access to all home appliances in the office/home. The most important advantage is universality since most other programs support only a few of the most famous brands. 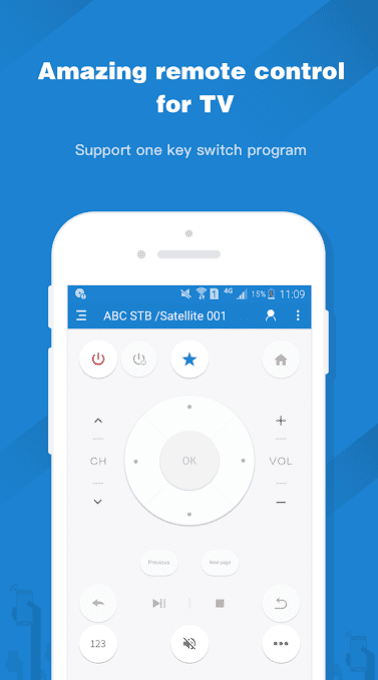 Mi Remote controller is a simple application that allows you to manage smart technology in your home using your phone. Here it is worth noting that your smartphone should have an infrared port. Run this application and click on the “+” icon in the right corner of the screen. Here you will be asked to choose the brand of the technology that you are going to manage. Choose for example Philips, or some other brand. Now you will be asked to choose the type of device: TV, air conditioning, DVD-player and so on. 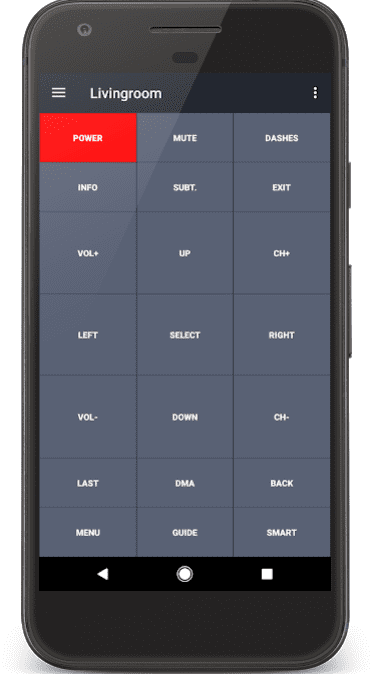 On the main screen of the application on/off button appears, you need to direct your smartphone to the equipment and click on the button. Press until the device turns on/off, this will mean that you have selected the correct settings. Do the same with the other buttons suggested. 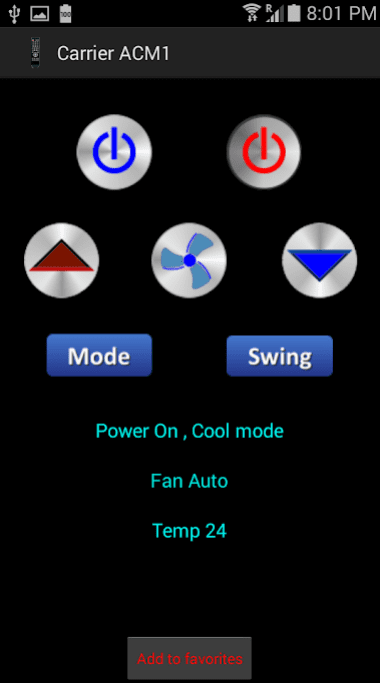 It can control most devices using infrared remote control, for example, TVs, air conditioners, air fans, and projectors. If the device is controlled using Bluetooth wireless or remote control, it will not be supported by the Mi Remote App. An Internet connection is required only when we want to connect to a new device. 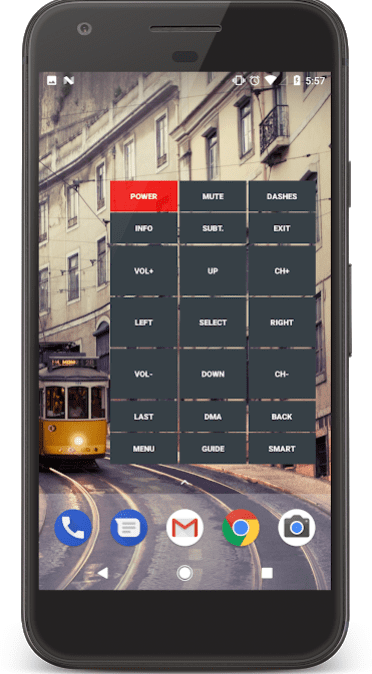 After saving the device, we can use this application in offline mode. 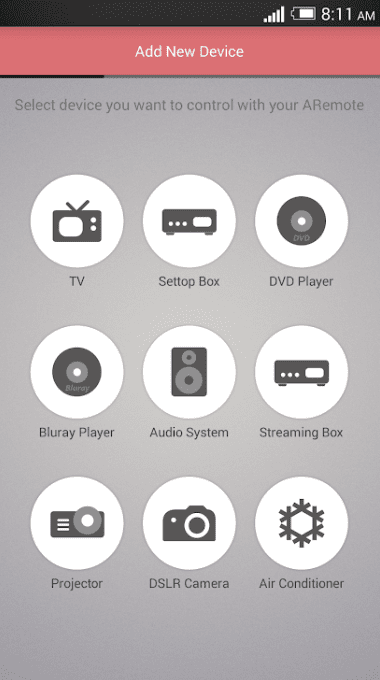 Power Universal Remote Control is an application that turns your Android mobile device into a remote control for a DVD. 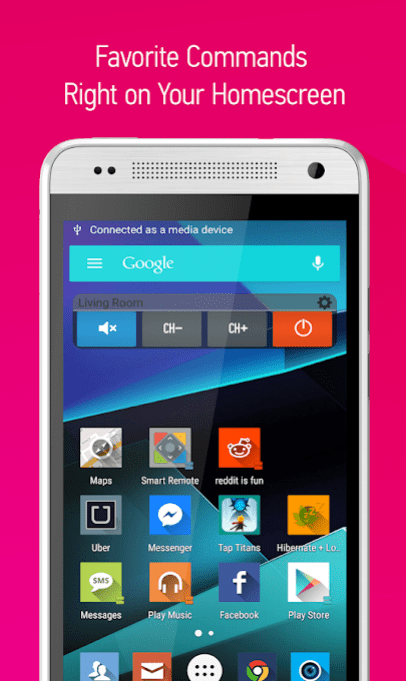 To do this, it is extremely important that your Android phone or tablet has an infrared port. If there is no infrared port, then the application will be completely useless. That is if you installed this application, and it doesn’t work, then most likely the application doesn’t support your mobile device. If you have a mobile device with an infrared port, then you can install Power Universal Remote Control, and then configure it. All you need to do is select the model of your DVD, and after a few second,s you will be able to use it. The most popular Android-devices that are compatible with the application are Samsung Galaxy S4, S5, S6, Note 3, 4, LG G3, G4 and HTC One. 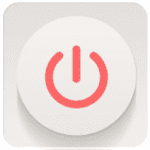 Power Universal Remote Control is an interesting application for everyone who regularly uses DVD and has a mobile device that supports the corresponding functions. 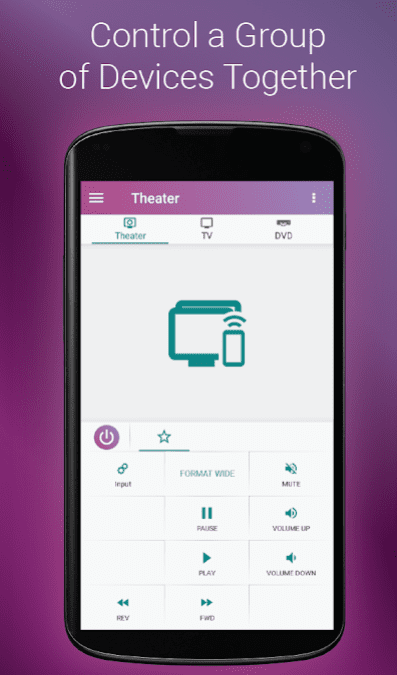 Want to easily manage your DVD with your mobile device? To do this, you need a gadget with an infrared port and a special application, for example, ASmart Remote IR. At first, the ASmart Remote IR application informs us that we do not have a remote control and offers to add it. We agree with the application and add a new console. Next, we are offered to choose a device brand from the list or use the search. After that, the console and possible configurations for control appear. We need to test all the functions and select the console. If something doesn’t work, then go to another configuration and again check the operation of the remote control. Externally, the ASmart Remote IR remote control is stylized as a real console, that is, the buttons, all kinds of arrows and controls are displayed on the screen. The truth is it’s not very convenient since the buttons are rather small and it’s difficult to use them, especially if the device has a small screen diagonal. In ASmart Remote IR you can create an unlimited number of rooms and fill them with appliances. ASmart Remote IR is designed for beginners or not very demanding users who already use ready-made and customized solutions. Actually, if initially we choose the right preset, 100% compatible with our device, then we will not have any problems using the application. The ASmart Remote IR program is simple, and no permissions for its operation are required. 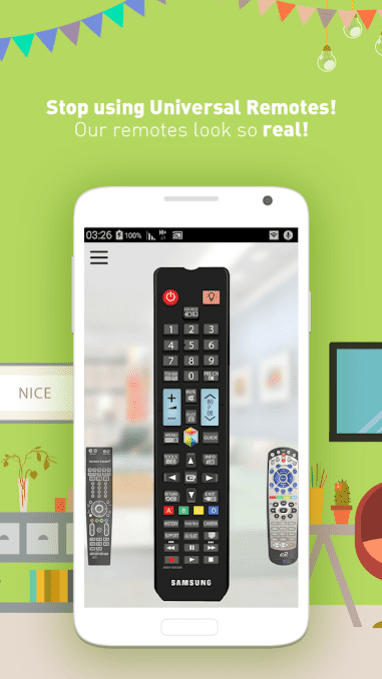 ASmart Remote IR application is the most realistic remote for home TV, DVD, air conditioner, digital camera and other devices. The program is very easy, quickly launched, not overloaded with various functions. If you are tired of a diverse set of remotes, for example, for TV and related devices, do not rush to “google” for a universal console on the Internet. Perhaps, you already have such a device, but you simply do not know how to reveal its potential. And for this, you just need to install a simple IR Universal Remote application. To add a new console, we need to open the sidebar and click on the corresponding button, then the menu with device categories opens. Next, you act by analogy with similar applications. Almost all of them offer a similar architecture and similar design that doesn’t allow them to stand out from the crowd of analogs. When choosing a technique, we don’t have a search, no sorting by manufacturers. Everything has to be done manually, scrolling through the largest lists in search of a specific model of the device. Then we will have to test the efficiency of our virtual console, and the remote control is ready! 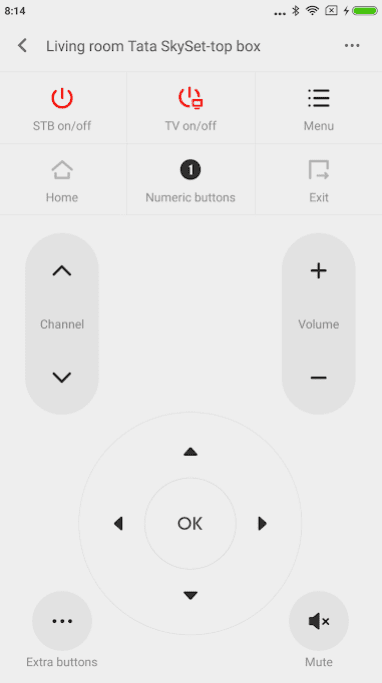 The developers of IR Universal Remote did not bother to make the design of the remotes perfect, but simply divided the screen into rectangles and fixed certain actions for them. We can not say that it is very beautiful, but it is as convenient and strict as possible. By the way, if desired, the console can be duplicated. Yes, this is possible and it is really convenient, especially when you need to quickly switch the channel, reduce the temperature or perform some other elementary action. Similar view and functionality are offered by the widget for the desktop. Not surprisingly, for such quality product developers get a lot of flattering reviews. 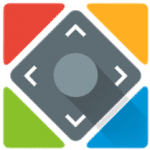 The program is excellent, and the only thing that it lacks is some cool features and a little better design of consoles. It is free and does not contain any limitations in terms of functionality. It is said that a mobile device with a special IR port can replace the control panel, but it’s worth starting with the appearance. And in this case, the application itself should look like a remote controller. This is how it is implemented in the Control It program. New remotes are added every day. Groups: Combine consoles and devices in different groups as you like. When the Control It program is launched for the first time, we must accept the license agreement and choose the display option for the remotes. We have a choice of a more visible option and a practical one. They differ in the number of simultaneously displayed consoles. After that, we get into the menu and can add any supported console to your application. Control It supports a large number of devices, including various heating and cooling systems, split-systems, DVDs, digital cameras, radio and other. The most interesting part of the utility is that we choose not the device controlled by the console, namely the remote! Accordingly, we see a huge number of models and their level of efficiency in the form of a rating. Everything is beautiful, obvious and will be useful if you do not know the model of the device, but you see or remember how its console looks like. 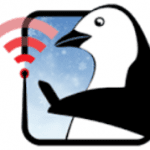 By the way, to use the application, or rather adding the console, we must have an Internet connection. After all, each console is loaded separately. But the design and quality of the original remotes are high. And right after installing the remote, you can use it without any problems. The only drawback of Control It is that we can use only up to three consoles. In addition, you can buy two more or purchase an extended version of the utility without any limitations of functionality, the number of plug-in consoles and advertising.